Lucio is Well known for his strengths on certain maps in which he can knock players off the map to their death. There is very few Lucio Counters in Overwatch. Since the general strategy for Lucio is running around and avoid damage. 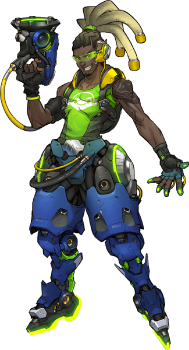 Thier is one character in particular that is seen as an effective Lucio counter. Mei is one of the best overwatch heroes for reducing mobility, This makes her among the best Lucio Counters within Overwatch. Lúcio is a solid support hero for any Overwatch team and in some cases is almost a must have. He’s capable of healing, providing movement speed for his allies, Shielding his entire team with is Ultimate, Knockback CC for controlling enemies, and dealing damage. If your team is in need of a Support hero, Lúcio is an easy choice. Wall Ride is what makes Lucio a very unique support heroes. Wall ride give Lucio the mobility to get around maps and even avoid damage from enemies. That combined with is higher base health than most supports, make Lucio a very durable support pick in overwatch. McCree: Is well known for countering heroes with mobility, due to his flash-bang stun ability. This the main reason McCree is one of the Lucio Counters listed above. (Ultimate ability), she is easily one of the best Lucio Counters available.